Matthew Thompson had been arrested last year for allegedly dragging a stolen shed down the street in Lebanon. 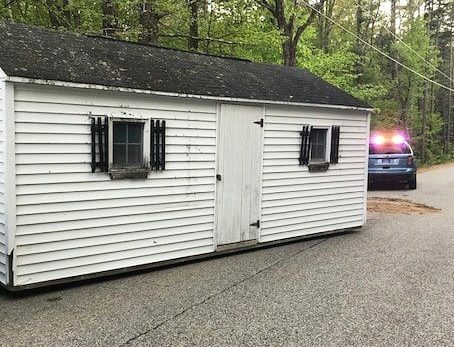 A Lebanon man accused of stealing a shed by dragging it down a street was arrested in New Hampshire Tuesday morning on multiple warrants. 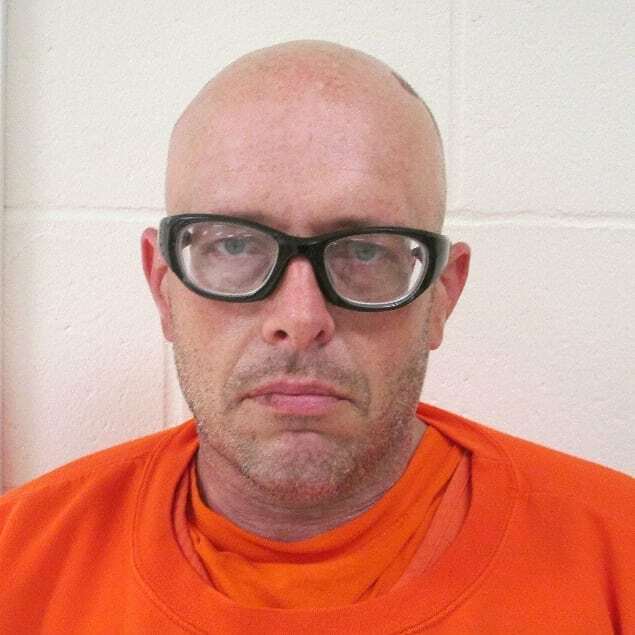 Maine State Police have been actively looking for Matthew Thompson, 39, since last September after he allegedly stole hundreds of dollars worth of tools from a house in Lebanon. Thompson also had an active warrant for violating conditions of release from an incident on May 22 in which he and two other people allegedly tried to steal a 25-foot shed in Lebanon by dragging it down the street. Thompson and two New Hampshire men were arrested that day when troopers found them with the shed blocking half of Heath Road. During the shed-stealing incident, Thompson was found with crystal meth and prescription pills that were not prescribed to him, police said. State police said Thompson fled from a home in Lebanon in September when police tried to arrest him and was able to evade arrest for months. On Sunday, Trooper Kyle Wells received information that Thompson was hiding in a home in Rochester, New Hampshire. Maine State Police, with assistance from the U.S. Marshal-New Hampshire Joint Fugitive Task Force, arrested Thompson at the Rochester home at 8 a.m. Tuesday. He was taken into custody without incident and taken to Strafford County Jail pending extradition to Maine.